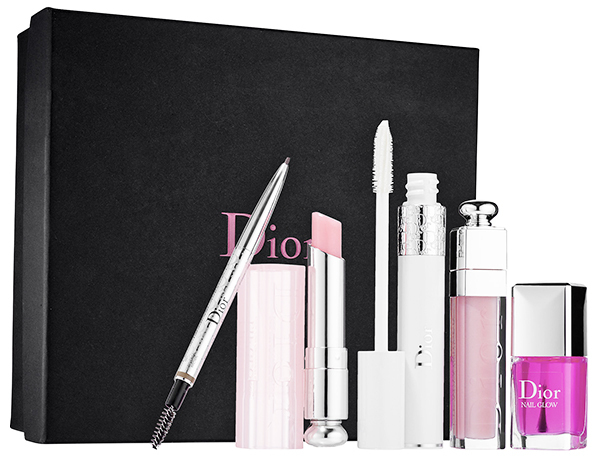 Dior Backstage Pros Gift Set for Holiday 2015 | Top Beauty Blog in the Philippines covering Makeup Reviews, Swatches, Skincare and More! Inspired by tips and tricks from Dior's makeup artists, Backstage Pros are a range of universal products created to boost the radiance of your complexion and enhance your beauty looks in an instant. Explore this set’s beauty solutions in this set, featuring a curated assortment of must-haves for makeup artists for a radiant, complete beauty look. Discover your natural flush of color with Dior Addict Lip Glow, a balm that enhances the lips and brings out their natural color. The universal balm reacts to the unique chemistry of each woman's lips to give them a natural flush of custom pink that suits her skintone. As if revived from within, lips are left looking fresh, full, and radiant. Infused with Color Reviver technology, the balm reacts to the moisture level of the lips, releasing its active ingredients to give lips a flush of their natural color. Its formula is enriched with wild mango and luffa cylindrical to protect and moisturize throughout the day. Wear it alone as a lip balm or primer, or pair it with a lipstick or Lip Maximizer for even more radiant results. Treat nails to an instant manicure effect, with Nail Glow, a brightening treatment, nail care enamel that creates the look of a French mani in just one coat. Its innovative formula instantly revives the natural color of the nail, boosting the pink on the nail bed and brightening the white tips. Apply one or two coats on bare nails for brighter, protected nails, day after day. A runway essential, the products in this collection instantly create a camera-ready result that stays looking flawless under the spotlights. Ah, so noble and pretty! Love the set and th packing is great!